The 8th and final episode of Stranded by the State, entitled "Toxic Swaps" premieres today. A collaboration between In These Times and Kartemquin Films, the series is directed, edited and produced by Kartemquin associate Liz Kaar and explores the human impact of Illinois' budget crisis. These “toxic swaps" contribute to widespread austerity policies, such as cuts to the CeaseFire violence prevention program in Chicago. 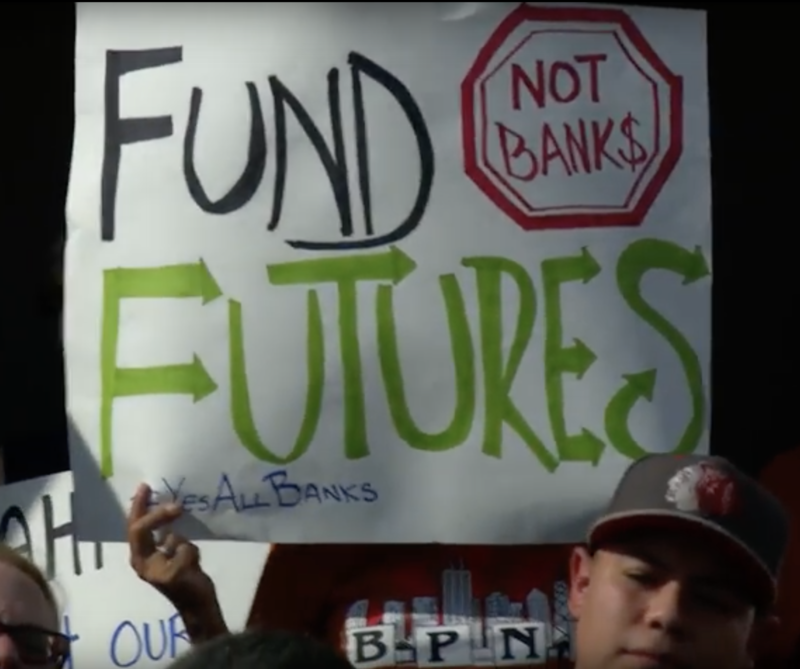 This episode points toward alternative solutions to the crisis in Illinois: recovering money from the banks and enacting a progressive income tax. Join the conversation using hashtag #StrandedIL, and follow the series on Twitter @strandedbystate.